Honda's midsize SUV is more luxurious and sleeker than ever. 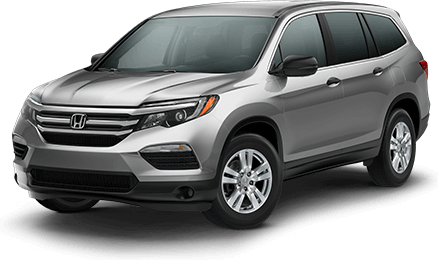 The new Pilot is elegant yet still completely expedient thanks to its 3.5-liter direct-injection V6 that puts out 280 horsepower and 262 lb-ft of torque. In LX, EX, and EX-L models, the standard drivetrain is a six-speed automatic, while the upper Touring and Elite trims get an ultra-smooth nine-speed automatic with shift-by-wire technology and paddle shifters. An Eco Assist system and Variable Cylinder Management system make the Pilot efficient enough for the long haul. Tows up to 5,000 pounds of whatever you'd like with the available i-VTM4 all-wheel drive system. Visit your Honda Dealer and check out the 2018 Pilot today! 19 city/27 highway/22 combined mpg rating for 2WD 6AT models. 18 city/26 highway/21 combined mpg rating for AWD 6AT models. 20 city/27 highway/23 combined mpg rating for 2WD 9AT models. 19 city/26 highway/22 combined mpg rating for AWD 9AT models. Based on 2018 EPA mileage ratings. Use for comparison purposes only. Your mileage will vary depending on how you drive and maintain your vehicle, driving conditions and other factors. The Honda Satellite-Linked Navigation System™ is available on EX-L models and standard on Touring and Elite models in the United States, Canada and Puerto Rico. (Honda HD Digital Traffic service only available in the United States, except Alaska). Please see your Honda dealer for details. 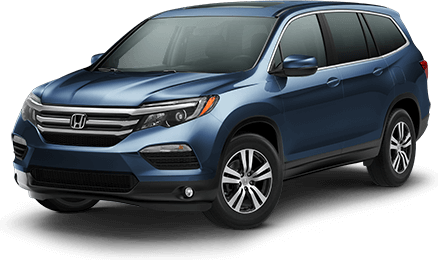 The 2018 Honda Pilot is the Overall Best Buy of the Year among midsize SUVs/crossovers according to Kelley Blue Book's KBB.com. For more information, visit Kelley Blue Book's KBB.com. Kelley Blue Book is a registered trademark of Kelley Blue Book Co., Inc. 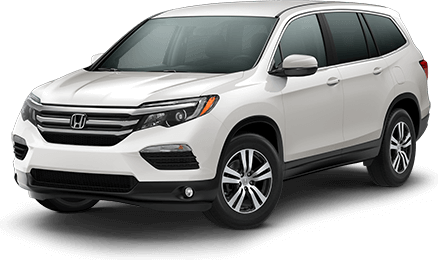 The Honda Pilot is one of the most user-friendly vehicles in the segment from a brand synonymous with quality and reliability, ensuring residual values that best the competition. ALG.com. 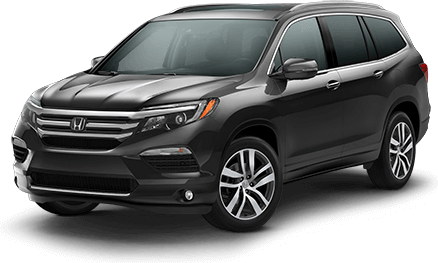 Honda Pilot / Midsize Crossover consumerguide.com.